If you have already joined Nutrisystem, congratulations on taking the first step towards a healthier and happier lifestyle! If you haven’t joined yet, then hopefully this video helps you make a more informed decision as to whether you should join. Also be sure to read user reviews and expert ratings of the diet before joining. Nutrisystem is a great option for busy people, and they have worked hard to take all the guesswork out of your weight loss so that you can relax and enjoy the meal plan. The folks at Nutrisystem want to ensure that you have all the tools you need for success, so here are the answers to the questions they get most often about their program. *Tip: You can use 2+ promo codes on top of this 40% off promotion to get the best possible price! 1. How Much Weight Will I Lose? Weight loss will vary from person-to-person. Generally you can expect to lose 1-2 pounds per week while on the program there is a good chance that you will lose more than that during your first week of Fresh Start. In fact, you may lose up to 13 pounds in your first month. In a clinical study, participants lost an average 11.6 pounds in their first month. However, it depends on your starting weight, and how closely you follow the Nutrisystem program. 2. 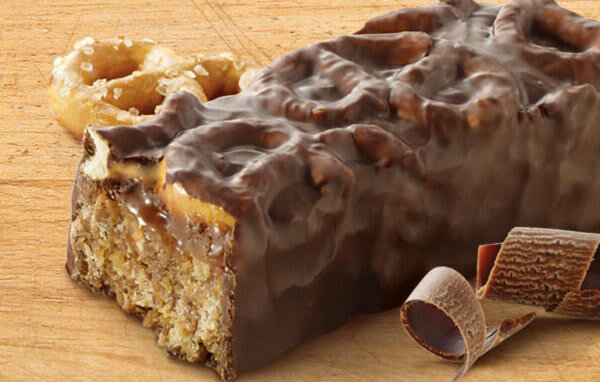 Can I Have a Nutrisystem Snack During the First Week? As long as the snack is from your Fresh Start Week 1 box, you can eat it! And, yes, there are snacks in there. Each day you will be enjoying one fresh start shake and one Nutrisystem snack in addition to your breakfast, lunch, and dinner entrees. The key is to make sure you are eating from the Fresh Start Week One box, and not from the rest of your Nutrisystem shipment. Also, don’t forget to drink at least 64 ounces of water a day and add in a minimum of four servings of non-starchy vegetables. 3. What’s a Non-Starchy Vegetable? During your first week on the program non-starchy vegetables are a great, healthy snack option. 4. Can I Move Nutrisystem Entrees Around In My Day? Absolutely! If you feel like eating your dinner at breakfast go for it! Just remember, if you eat a dinner entree at breakfast time you can’t choose another dinner option at dinner. You’ll have to choose from the remaining food options for that day. Make sure to have: one breakfast, one lunch, one dinner, one shake, and one snack every day during your first week. That means you will be eating five times each day in your first week: three meals and two snacks. 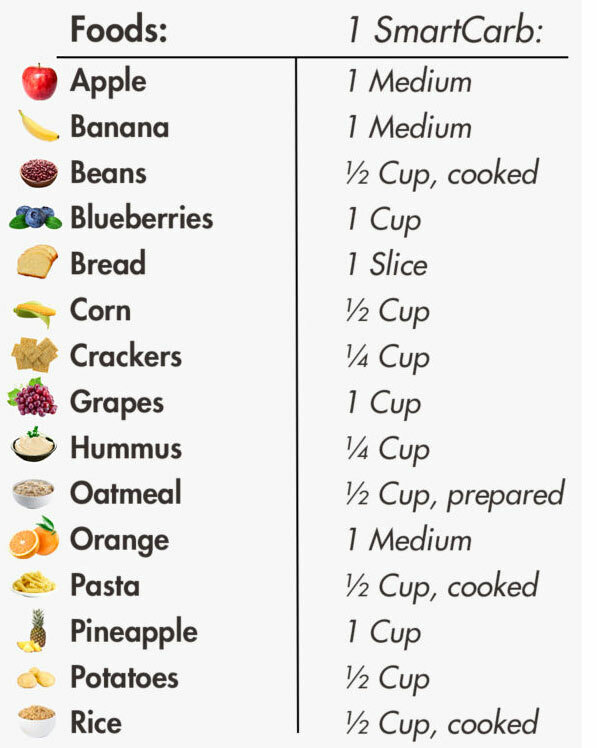 On the remaining weeks, you will get to eat six times each day: three meals and three snacks. Also it’s important to make sure you eat something within one hour of waking up. This may help jump-start your metabolism. 5. Can I Add Vegetables, and Are They Required? Learning how to incorporate vegetables into your meals is an important part of the program and is required. Vegetables provide your body with crucial vitamins and the fiber it needs to be healthy. We recommend a minimum of four servings of non-starchy vegetables per day, and you can have as many as you want. Non starchy vegetables include: tomatoes, spinach, cucumbers, carrots, broccoli, and so much more. 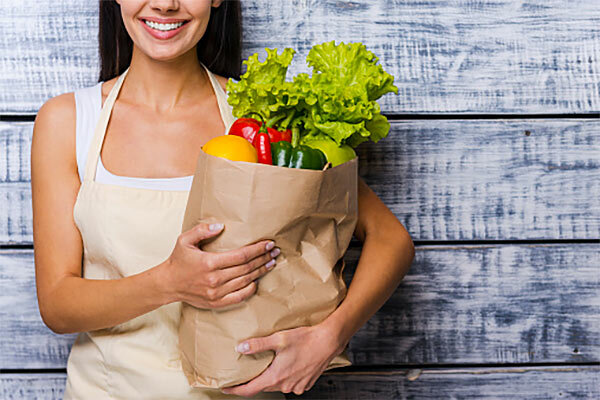 An extended grocery guy can be found on Nutrisystem’s weight loss blog, The Leaf, and in your daily tracker and grocery guides. 6. What Are PowerFuels and SmartCarbs? 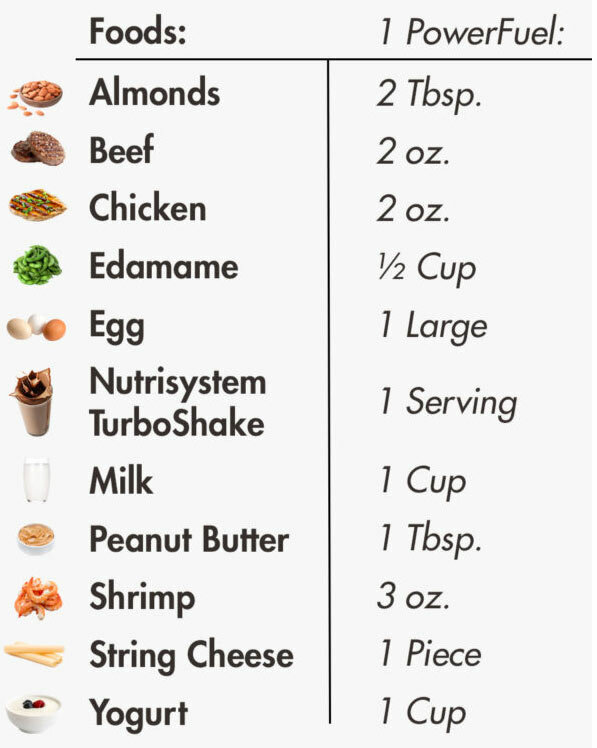 Power Fuels are protein sources such as nuts eggs or plain non-fat yogurt which you will add to your meal plan. Generally anything that is 80 to 120 calories with at least 5 grams of protein will be considered a power fuel. the more protein the better. Smart Carbs are healthy carbohydrate sources such as fruits starchy vegetables and whole grains which you will also add to your meal plan. Generally anything that is 80-220 calories with at least one gram of fiber will be considered a SmartCarb. The more fiber the better! Nutrisystem recommends that you get your power fuels and smart carbs from whole food choices most of the time, like nuts fruits low-fat dairy and whole grains. 7. What Are Nutrisystem Flex Meals? Flex Meals are meals you prepare at home or eat at a restaurant without the use of anything from your Nutrisystem shipment. Following the guidelines, you will learn how to prepare meals to help you sustain your weight loss long after you finish the program. 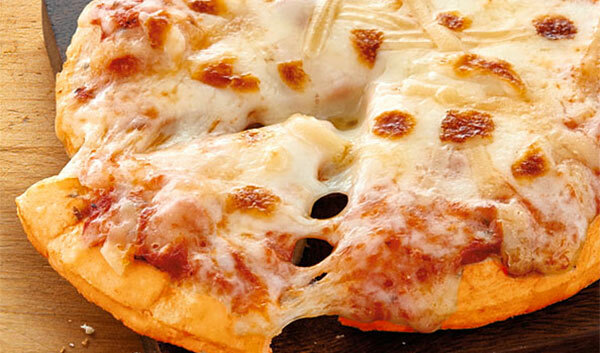 These guidelines will also help you choose the right options when you’re going to eat out. Each flex meal consists of a combination of smart carbs, power fuels, and vegetables. You can also add an extras or free foods to liven up your menu. Nutrisystem has plenty of recipes and suggestions to get you going on their website, and in your guides. For best weight loss results, Nutrisystem recommends that you space out your flex meals throughout the week. 8. What Should I Have For a Flex Meal? Using the guidelines found on the Leaf, and in your Nutrisystem guides, you’ll identify how many Smart Carbs and Power Fuels each Flex Meal should include. 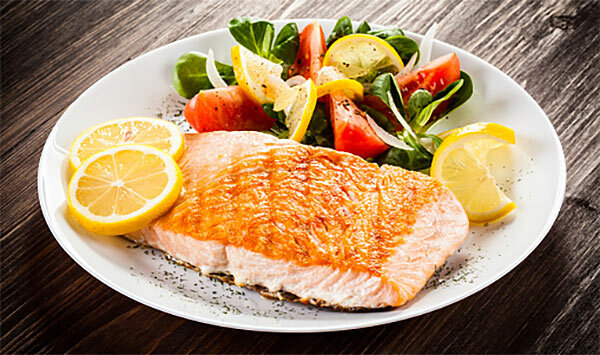 Generally speaking, great choices include a piece of meat or fish with steamed veggies. You can also choose between a small baked potato, a whole-grain roll, or whole-wheat pasta. Your Flex meal could be a stir-fry, salad, sushi, among many other options. Remember it’s all about proper portion sizes and not about restricting yourself from your favorite meals! 9. Can I Drink Alcohol on Nutrisystem? 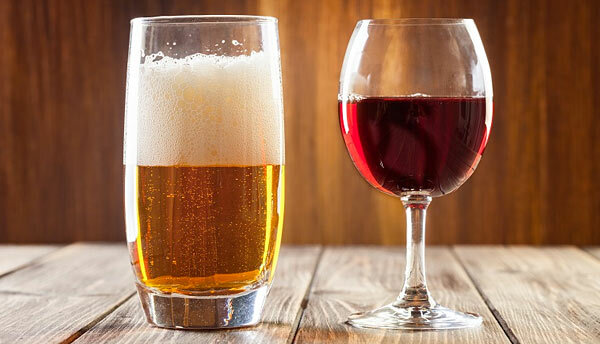 It typically takes about one hour for your body to process an alcoholic drink. So, the change in your metabolism will not be permanent. On Nutrisystem, you can enjoy up to two alcoholic drinks weekly. Nutrisystem recommends having them on different days of the week. However, they do not recommend alcohol during the first week. Also, those 3-foot tall Margarita’s you can get in Las Vegas don’t count as only one drink. If you find yourself ordering one of those, you’ve pretty much epically failed to stack on track! 10. 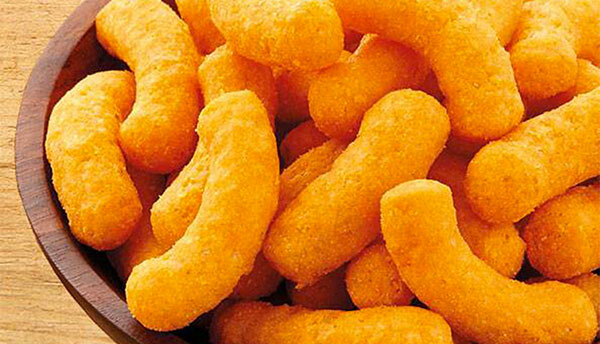 How Many Snacks Can You Have Per Day? After your first week on Fresh Start, women and men both have three snacks during the day. Women will choose a grocery item for their morning and afternoon snacks and have one Nutrisystem snack after dinner. 11. Nutrisystem: What’s the Best Signup Deal? To get the best monthly price, you’ll want to signup with their 40 off promotion (below) which locks in the low introductory rate. Other coupons (like $100 off) look tempting, but you may be surprised to see your monthly bill go up as soon as the second week. Also, for the best price on your first month, you can also use promo codes at checkout for up to an extra $30 discount and free shakes and food. OK, hopefully we helped answer some of the questions you might have about Nutrisystem before joining. Thanks for stopping by PriorFatGirl.com! This entry was posted in nutrisystem and tagged fresh start, nutrisystem on February 11, 2019 by kevin. 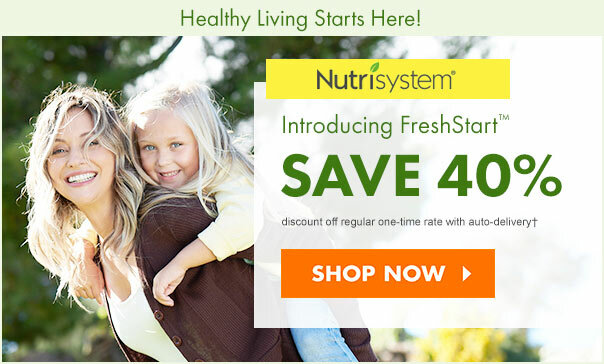 ← Fresh Start | How Does the First Month of Nutrisystem Work?